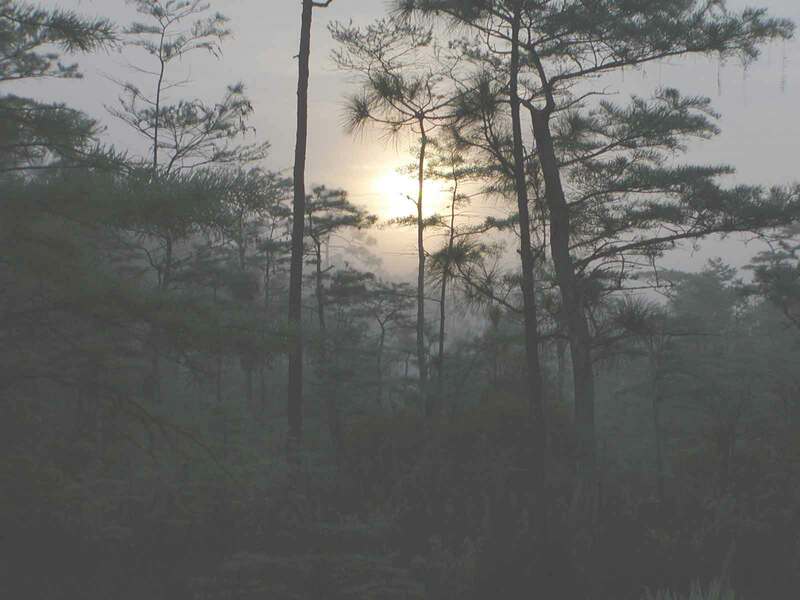 I awaken, its dark outside, insects chirping and frogs croaking back in the swamp, a quiet calm morning in the Big Cypress Swamp. This is the kind of morning you hope for in turkey season. The light is on in the camp kitchen. I can see Hoss has already started the coffee. I'm optimistic, the weather report was good and the forecast was for cool dry weather and no wind, until later in the day. We had seen fresh gobbler tracks in every direction from camp. I sit up in bed, not wanting to leave it, but I know I have to travel in the dark to where that big gobbler is waiting. Hoss carries a lantern into the sleep quarters. "Good Morning, I put the coffee on" says Hoss, as I shield my eyes from the light. "Good Morning" I say quietly, not quite awake yet. "Where are you going to hunt?" Hoss asks. "I think I will go up past Big Pine Lodge and on up toward Drake's" I answer. "I think I will go to the East, over near Little Deer" Hoss volunteers. Hoss and I get dressed in our camouflage gear, by lantern light. Soon we are in the kitchen, a quick cup of coffee and a sweet roll, to tide us over till breakfast. We gather our gear and I head up toward the north gate and Hoss heads toward the south gate. "Good Luck" we say to each other as we leave camp into the darkness. There is just a hint of light to the east, as I walk, not quite needing a flash light in the dark. I have traveled this way many times, this morning listening to a "Whippoorwill" calling from a swamp to my left. I have always puzzled at why a bird would make noise in the dark, making it easier for a predator to find it. One of natures mysteries. I travel the dark trail, knowing that I need to move fast or the light will catch me before I'm where I need to be. Soon I'm passing Big Pine Lodge, as I drop off the pine island and into a swampy area, the horizon is showing a little more light. I slow down and start listening, the sounds of the swamp are beginning, the early light triggering the critters to start identifying themselves. Its time for me to try to locate that gobbler, so I get my call out and work it to make it yelp. As the sound of the turkey call fades, I hear the sound of water moving in the swamp. Not a quiet sound, but the sound of something big moving in the shallow water of the swamp. It's probably a hog, a deer would be more of a softer sound. Even though I am turkey hunting, nothing has answered my call, so I am curious. Quietly moving toward the sound in the swamp, I am now on the edge of the water facing toward the middle of the swamp. This Cypress head seems thicker then most, but that could be because it is very dark. As I enter, I hear a splash of water, directly in front of me, but I see nothing in the dark. I ease forward, a quiet step at a time. Slowly, trying to get my eyes to adjust to the dark, putting my left hand out to touch the cypress trees for guidance.